Atos black belt and rising star Kaynan Duarte dominated a very tough 8-man bracket, using a complete and well-rounded game to become KASAI's first ever light-heavyweight champion. In 4 very tough matches, Kaynan was able to enforce his game on his opponents from start to finish, without being scored on once. Here are 5 things that contributed to Kaynan's success. Whether it was from a monstrous takedown or a simple guard pull, Kaynan always insisted on making the first move or scoring attack. This enabled him to start the match ahead on points and in the top position where he would continue to dictate the terms and pace of the match. Under KASAI's 6-minute match format, this strategy allowed Kaynan to start off ahead of the game and forced his opponent to feel a sense of urgency. This would sometimes result in desperation on their part which led to openings and counter attacks. Once on top, Kaynan utilized incredible distance management. He stayed in a good position constantly, far enough to prevent his opponents from clinching with him but also close enough to make grips such as wrist control that shut down a lot of the bottom player's attacks. This enabled him to avoid leg entanglement at all costs. While on the feet, he could flee and or counter leg locks, and on the ground, he controlled enough that he could shut down attacks while looking to set up passes. Another key to Kaynan's success was his leg lock awareness and counters. Kaynan constantly sought to shut down the leg lock attempts before or during their entries as opposed to attempting to counter them after they were set, which is a common mistake in the sport. On one occasion, Kaynan was able to counter Craig Jones leg lock entry into what has been called by Andre Galvao, the "Pretzebolo", which allowed him to roll around Craig's leg and onto his back where he was able to secure the match ending submission. Unlike some of his opponents, Kaynan's game was constantly changing and was hard to predict. Whether it was smashing, controlling or playing loose, Kaynan kept mixing things up in his matches keeping his opponents on the defense and would utilize submission attempts to create scrambles which he was winning and controlling the majority of times. From seated in front of his opponents, to his soul-destroying body lock position, Kaynan did a great job of controlling in dominant positions. These pins and control scenarios allowed him to advance of attempt submissions with precision like movement which helped him rack up points in all of his matches. At only 21 years of age and under the watchful eye of Andre Galvao, Kaynan is absolutely destined for greatness. 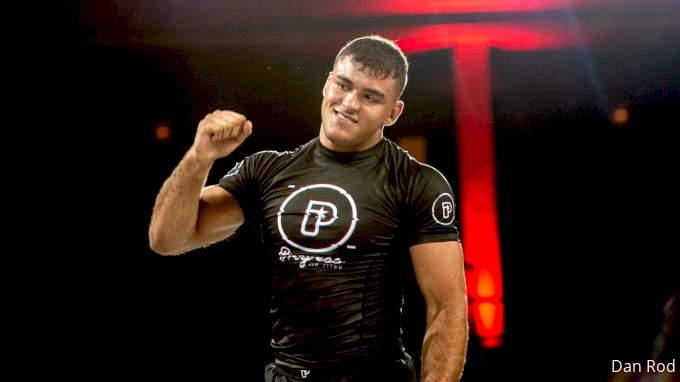 This year he continues his streak and dominant reign as jiu-jitsu's top prospect with an incredible 55-8 record at black belt. The sky is truly the limit for this rising Brazilian phenom.